Benefactors from foreign governments, including other Arab nations, have long made donations to American higher education, but the Qatar Foundation's appears to be one of the few foreign organizations targeting K-12 public schools with lofty grants. It wants to ramp up spending. But there are concerns about the foundation's independence owing to its co-founder and chairwoman being the mother of Qatar's emiri. 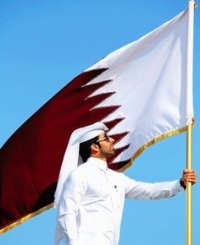 Moreover, Qatar, which houses the foreign campuses of six American universities, is currently embroiled in a conflict with its Arab neighbors and the Trump administration over its alleged ties to terrorism. Meanwhile, the foundation has funded "cultural events" for Arizona students, a visit to the Qatari embassy for Washington D.C. students, and a trip to Doha for Oregon students. Given that Arabic language programs have a propensity to include what Middle East Forum President Daniel Pipes calls "Arabist and Islamist baggage," the fact that an illiberal country like Qatar is providing an education to increasing numbers of American public school students is alarming.